Before starting earthworks, it is worth knowing what to expect during excavations. Very often while digging in the ground we find installations that are not included in any maps or their exact course is unknown. Thanks to a Georadar, we are able to check what is hidden underground, and using the detector, we can closely follow the course of the installation. Detecting underground infrastructure not only increases the pace of work and reduces the potential costs associated with the destruction of existing underground installations, but also significantly improves the safety of earthworks. Depending on the situation, type of infrastructure and place of work, the detection process and the type of equipment used will change. Unfortunately, there is no single device that can detect all installations in all conditions, which is why our company has a set of professional devices that, combined with the experience of our employees allow for effective detection of most installations running underground. 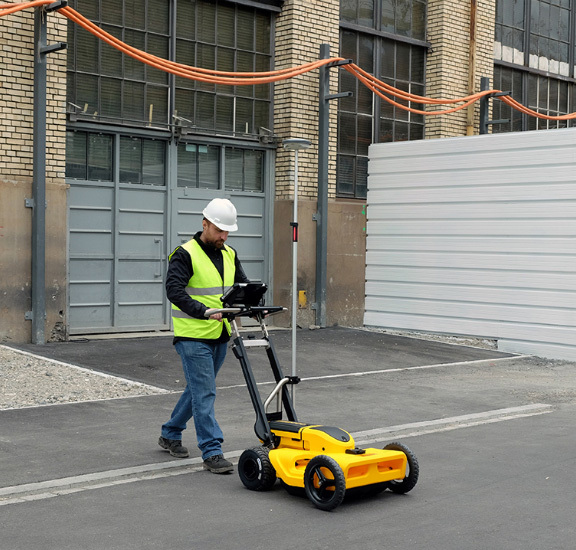 The GPR method allows locating underground installations in the form of PVC pipes, PVC pipes, power cables, concrete pipes, ceramic pipes, channels and other underground instalations. The GPR method consists in sending pulses deep into the ground and recording the reflected waves from the underground infrastructure and utilities. The Georadar has two integrated antennas: a deep 250 MHz with a lower resolution and a 700 MHz higher resolution board. Thanks to the integration of antennas with the entire system, dual mode allows for active analysis of GPR data from two zones with different resolutions. The plate antenna allows detection of shallowly lying objects to about 1.5 meter below but with a smaller diameter while the deep antenna allows analyzing data collected from a depth of about 6-8 meters below ground level depending on the ground conditions. 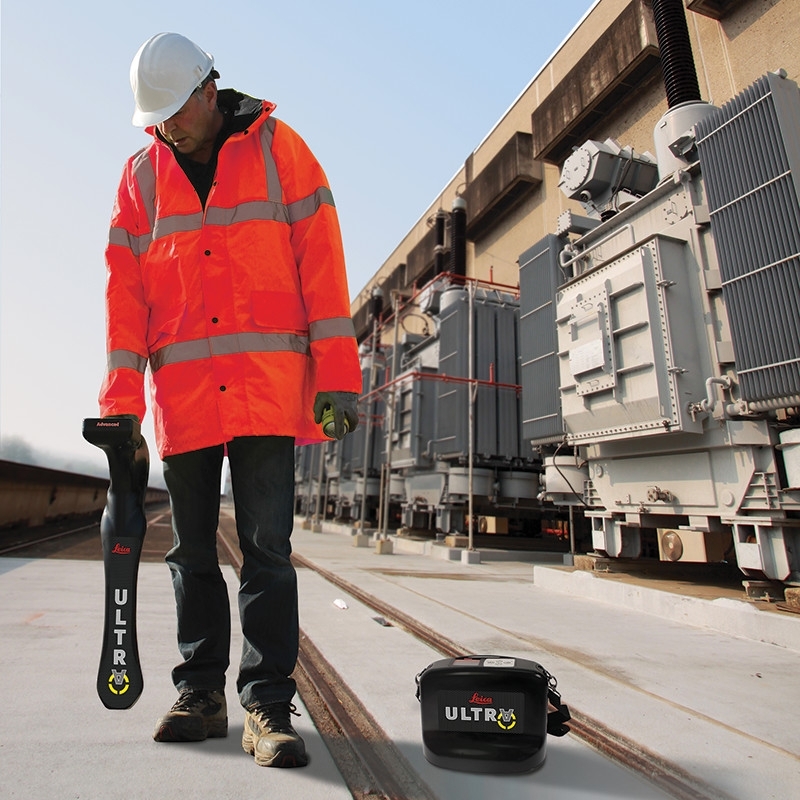 Leica Ultra is the most advanced system for detecting, mapping and tracking underground infrastructure. The Lecia ultra locator has many modes of operation, it detects commonly used frequencies used in power engineering all over the world. The locator works in passive mode, registering long VLF waves reflecting from underground objects, which allows detection of all types of telecommunications or fiber optic cables. Combine with a Ultra set 5W generator creates a powerfull tool for all kinds of underground detection works. 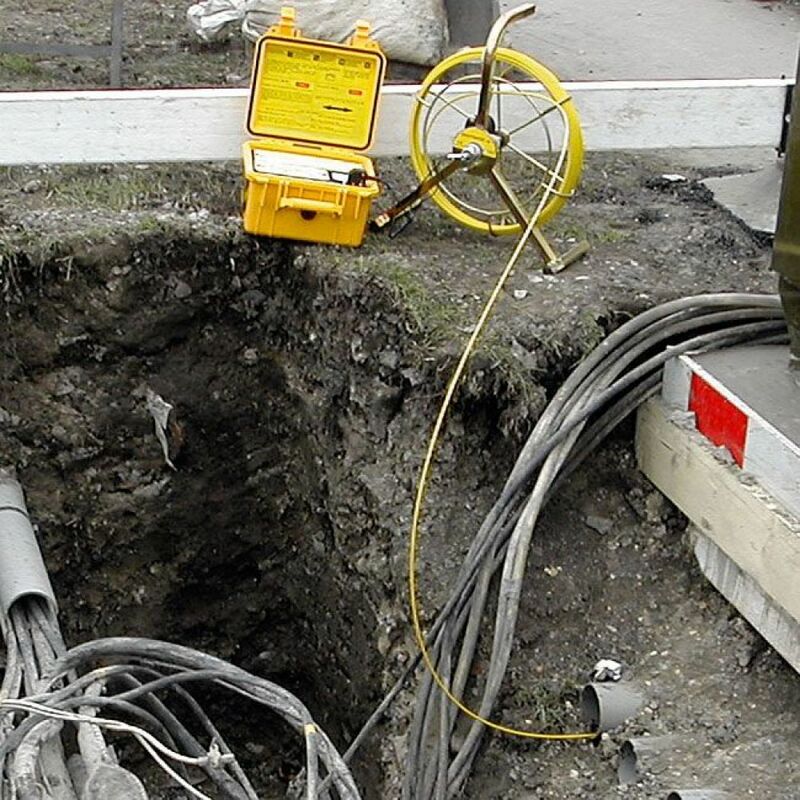 With special clamps it is possible to connect the generator directly with an underground installation, power cables, metal pipes, locating cables over gas pipes. In order to trigger the signal in the installation and fallow the signal with Ultra tracker. Localization cables are used for active signal generation. Attached to the generator, it emits a signal of a given frequency. Helpful in the location of sewage pipes, telecommunication channel and drainage. It is possible to attach to the cable one or two-frequency probes that generate a strong point signal, which can be tracked with the Ultra detector at a depth of up to 12 meters.